The 20-year-old made his debut for Shrewsbury in their League Two match against York on Saturday. 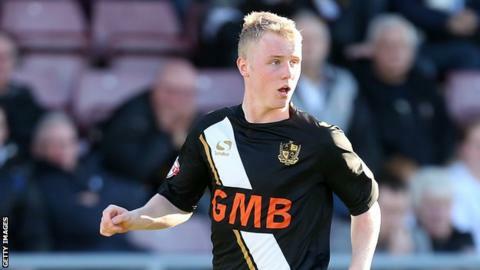 Grimmer made 14 appearances for Port Vale during a loan spell last season, scoring once. "I spoke to the coach and he is under the impression that I will fit in nicely to the way he wants to play," said Grimmer. "They all said good things and give it plenty of compliments, so that really was a factor in making it an easy choice to come."